The two impulsive and unpredictable leaders will meet Tuesday, Singapore time . Just about 24 hours before the moment President Donald Trump was expected to shake hands with North Korean leader Kim Jong Un, questions remained about the highly-anticipated summit. It will be the first time a sitting U.S. president has met face-to-face with a North Korean leader and the two men are expected to discuss North Korea’s illicit nuclear weapons program, and a potential deal to denuclearize the communist country. But the two leaders are famous for their improvisational styles, and it is unclear who will join them in the room for the first initial meeting beyond official translators. The stakes are high for the first encounter between Trump and Kim, who have respectively called each other such belittling nicknames such as "dotard" and "Little Rocket Man." Only two weeks ago, Trump canceled the meeting, citing “open hostility” from North Korea. But after some last minute diplomacy, the meeting was rescheduled for Tuesday at 9 a.m., Singapore time, at the exclusive Capella hotel on the secluded – and secure -- resort island of Sentosa where peacocks are known to roam the grounds. (Jim Lo Scalzo/EPA-EFE via REX/Shutterstock) President Donald Trump walks off Air Force One as he arrives at the Paya Lebar Air Base in Singapore, June 10, 2018. 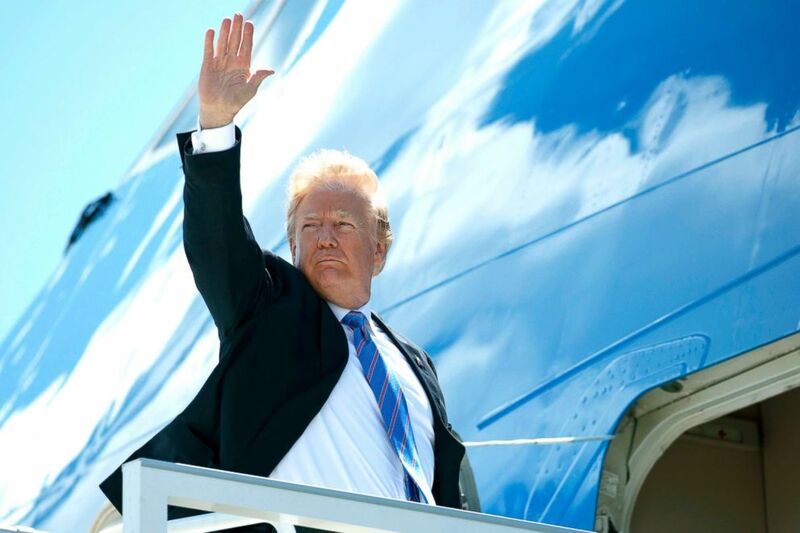 On his way to Singapore from the G-7 summit, Trump fired off a series of angry tweets from Air Force One attacking Candian Prime Minister Justin Trudeau who said Canada "will not be pushed around" by Trump's threats to raise tariffs. Chief Economic Advisor Larry Kudlow even said on Sunday Trudeau’s comments potentially undermine the North Korean summit. “He can't put Trump in a position of being weak going into the North Korean talks with Kim,” Kudlow said. Trump boasted he is “very well prepared” for the summit, but has tried to lower expectations heading into the meeting. 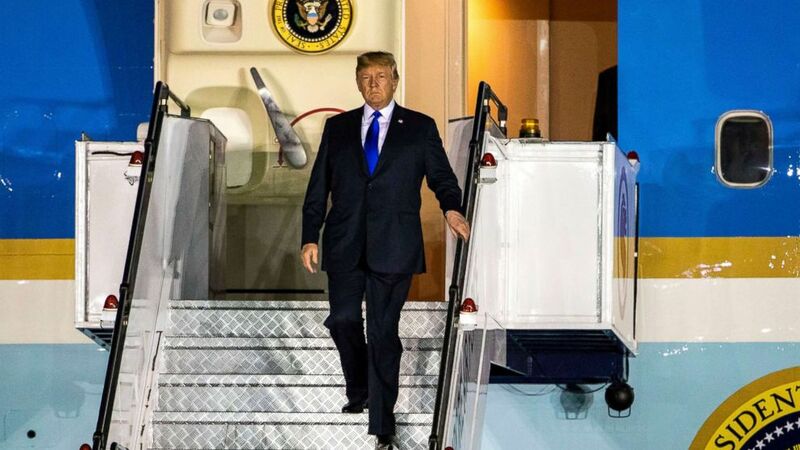 As he stepped off Air Force One in Singapore at night waving his hand and wearing a dark suit and blue tie, Trump said he felt “very good” when asked by reporters about the summit. (Evan Vucci/AP) President Donald Trump boards Air Force One for a trip to Singapore to meet with North Korean leader Kim Jong Un, June 9, 2018, at Canadian Forces Base Bagotville, in Canada. Singaporean Foreign Minister Vivian Balakrishnan greeted Trump before he got into his presidential limousine and departed the airport for the Shangri-La Hotel, where he and his entourage will stay. 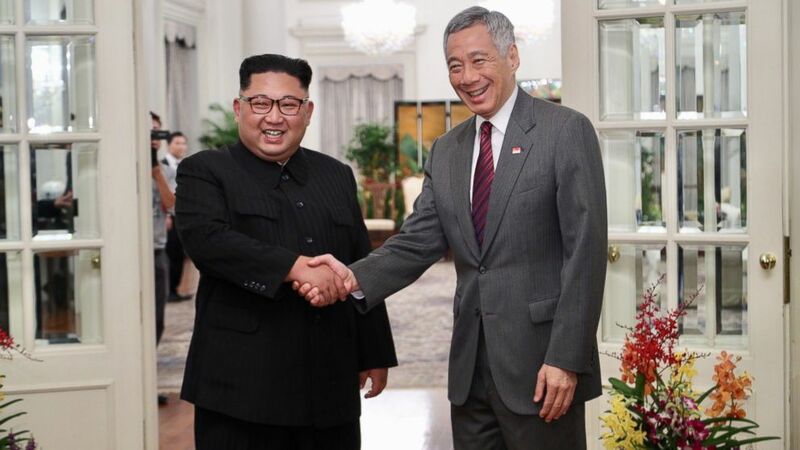 Kim, meanwhile, arrived in Singapore a few hours earlier Sunday aboard an Air China plane and complimented his hosts for the accommodations during a meeting with Singapore Prime Minister Lee Hsien Loong at the Istana Palace, the official residence of the prime minister. "It's a historic summit and you provided terrific conditions and provided convenience so that our people could come here with no discomfort," Kim, speaking through an interpreter, told Lee. "Singapore government promoted convenience with much effort as if it were their household affair." "I have the expectation that this [summit] will be very successful," Kim, speaking through an interpreter, told the prime minister. Trump is scheduled to meet Prime Minister Lee for lunch on Monday at the Istana Palace. Later Monday, the president will meet with the U.S. Embassy staff in Singapore. The White House announced the upcoming nuclear summit last month, but diplomatic peace didn't last long. Kim threatened to pull back from the meeting and criticized the United States with typical, fiery rhetoric. In response, Trump called off the planned summit in an official signed letter. A week later, Trump announced that the summit was back on after a North Korean envoy hand-delivered him a letter from Kim. Trump departed the G-7 summit in Quebec having angered some American allies over his administration's move to impose steep tariffs on aluminum and steel imports from the European Union, Mexico and Canada. He also left some G-7 leaders baffled by his proposal to allow Russia back into the group. Trump backed out of a joint communique with the other G-7 countries that acknowledged that "free, fair, and mutually beneficial trade is a key engine for growth and jobs." (Evan Vucci/AP) President Donald Trump arrives at Paya Lebar Air Base for a summit with North Korean leader Kim Jong Un, June 10, 2018, in Singapore. Trump rescinded his endorsement after Trudeau held a news conference saying all seven countries had signed the communique despite "some strong, firm conversations on trade, and specifically American tariffs." Trudeau said he informed Trump that Canadians “who stood shoulder to shoulder with American soldiers in far-off lands” do not take lightly the idea that the tariffs are for national security reasons. “It’s kind of insulting,” Trudeau told reporters. On Twitter, Trump said Trudeau was "meek and mild" at the G-7 summit, but was "very dishonest and weak" during his post-summit news conference. "Based on Justin’s false statements at his news conference, and the fact that Canada is charging massive Tariffs to our U.S. farmers, workers and companies, I have instructed our U.S. Reps not to endorse the Communique as we look at Tariffs on automobiles flooding the U.S. Market!" Trump said in a tweet. French President Emmanuel Macron issued a statement reaffirming France's endorsement of the G-7 communique. "Let's be serious and worthy of our people. We make commitments and keep to them," Macron said. "International co-operation cannot be dictated by fits of anger and throwaway remarks." Trump seemed more upbeat about his upcoming meeting with Jong Un, a ruthless dictator he has previously called "short and fat" and a "tyrant." 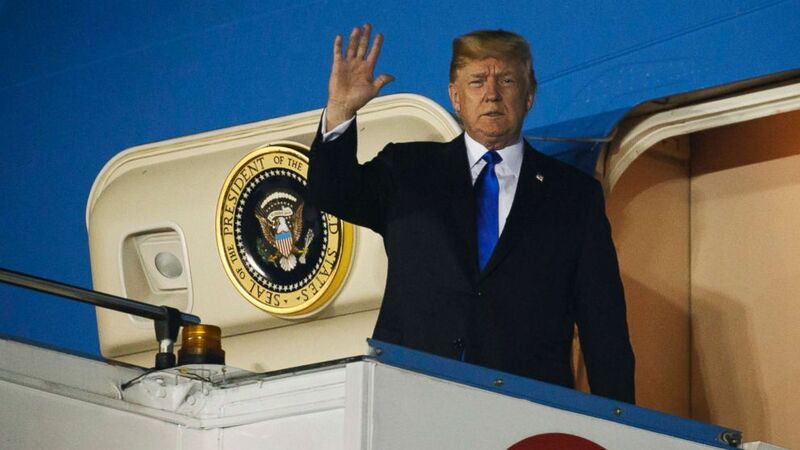 "I am on my way to Singapore where we have a chance to achieve a truly wonderful result for North Korea and the World. It will certainly be an exciting day and I know that Kim Jong-un will work very hard to do something that has rarely been done before..." Trump said in a tweet. "...Create peace and great prosperity for his land. I look forward to meeting him and have a feeling that this one-time opportunity will not be wasted!" (MCI/HANDOUT/EPA-EFE via REX/Shutterstock) North Korean leader Kim Jong-un (L) and Singapore Prime Minister Lee Hsien Loong (R) shake hands during their meeting at the Istana Presidential Palace in Singapore, June 10, 2018. Earlier, Trump told reporters he will be undertaking a "mission of peace" as he heads into "unknown territory in the truest sense." He described the highly-anticipated meeting as a "one-time shot" for Kim, but told reporters he thinks "it's going to work out very well." "I think I'll know pretty quickly whether or not, in my opinion, something positive will happen," Trump said. "And if I think it won't happen, I'm not going to waste my time. I don't want to waste his time." 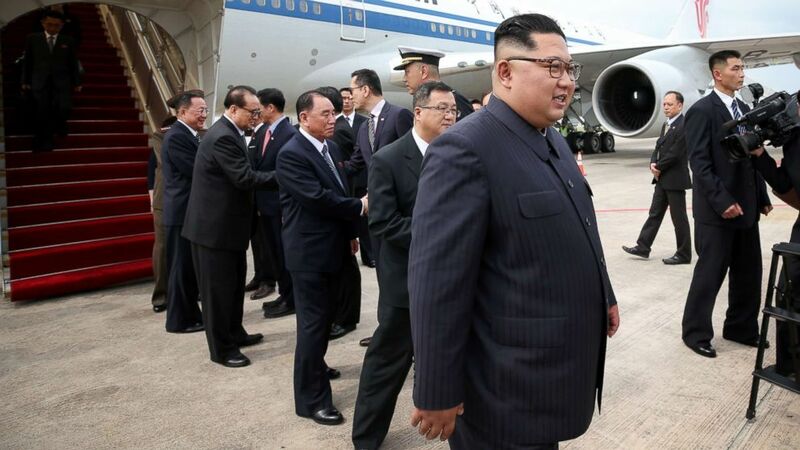 (Ministry of Communications and Information, Republic of Singapore) Kim Jong Un, right, arrives in Singapore for North Korea's summit with U.S. President Donald Trump on Sunday, June 10, 2018. North Korea evolved into the nuclear-armed enigma it is today long before Trump took the White House. In fact, North Korea's nuclear weapons program and its development of long-range rocket systems have been three generations in the making. And the country's standing as a nuclear-weapon-possessing state has even been etched into its constitution. 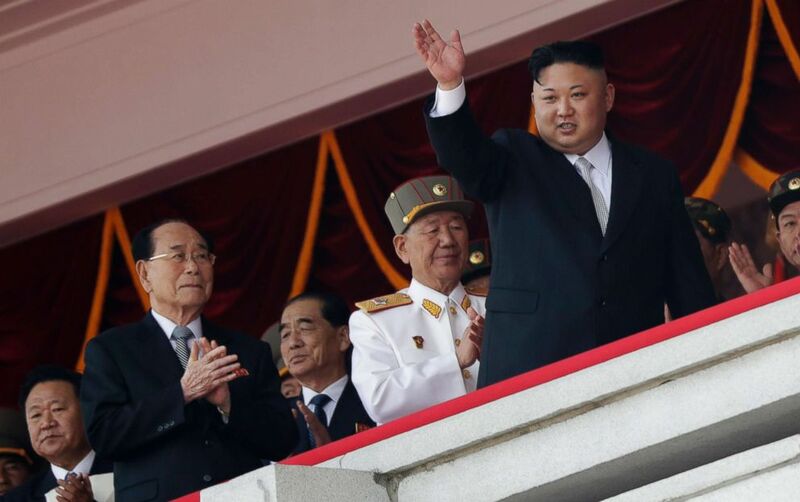 (Wong Maye-E/AP, FILE) North Korean leader Kim Jong Un waves while officials, from left, Choe Ryong Hae, Kim Yong Nam, Pak Pong Ju, and Hwang Pyong So applaud during a military parade in Pyongyang, April 15, 2017. Kim Il Sung, the country's founder, who ruled from its establishment in 1948 until his death in 1994, dreamed of an intercontinental ballistic missile as the United States threatened to use nuclear weapons against the North during the Korean War. The Soviet Union, Pyongyang's ally and sponsor, began training North Korean scientists and engineers in the 1950s, giving them the "basic knowledge" to initiate a nuclear program, according to the American Security Project, a nonprofit nonpartisan public policy and research organization based in Washington, D.C.
(KCNA/AFP/Getty Images, FILE) This April 15, 2017 picture released from North Korea's official Korean Central News Agency (KCNA) on April 16, 2017 shows Korean People's ballistic missiles being displayed through Kim Il-Sung square during a military parade in Pyongyang marking the 105th anniversary of the birth of late North Korean leader Kim Il-Sung. After the collapse of the Soviet Union and the death of Kim Il Sung, Kim Jong Il succeeded his father amid a dire famine that killed up to 2.5 million North Koreans. 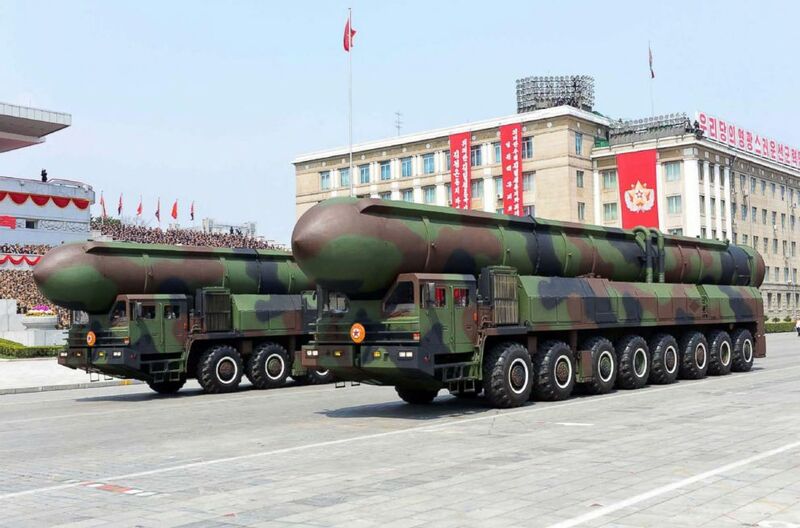 To protect the state, the new leader developed the songun, or military first, doctrine, under which the military's access to resources is prioritized. 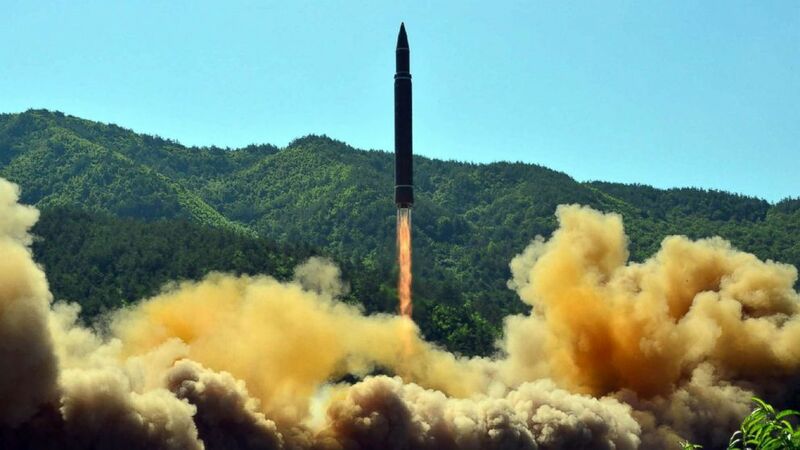 (KCNA via AFP/Getty Images, FILE) This picture taken on July 4, 2017 and released by North Korea's official Korean Central News Agency (KCNA) on July 5, 2017 shows the successful test-fire of the intercontinental ballistic missile Hwasong-14 at an undisclosed location. In April 2013, Kim announced a policy of co-developing North Korea's economy and nuclear weapons program to reinforce his regime's domestic, diplomatic, economic and security interests, according to a 2015 report by the U.S. Department of Defense.